Summer is here and it’s time to celebrate! 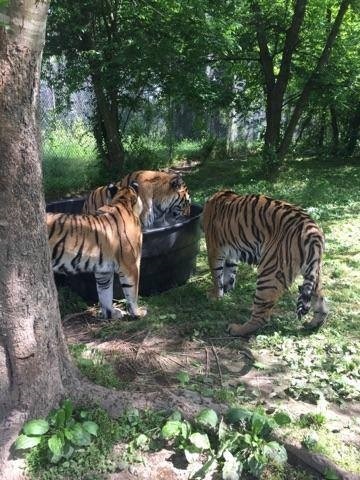 The animals of Carolina Tiger Rescue have been celebrating the warmer temperatures by getting cool pools and frozen treats. 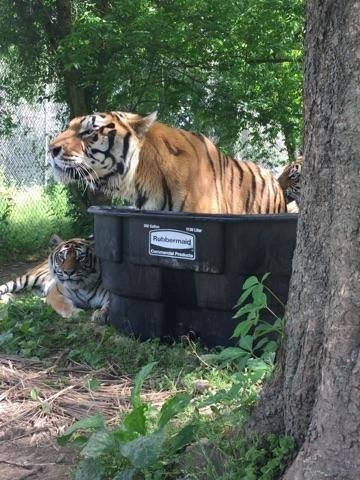 Tigers love water and like to hang out poolside! 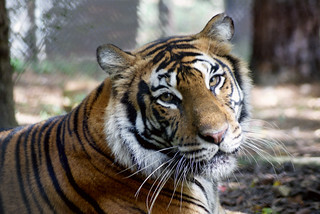 Caprichio, India, and Carolina Tigers are new to North Carolina summers. It looks like they were very happy to receive their new pool. (note: While it appears in these photos that Caprichio was hogging the pool, don’t worry! We found ALL THREE of them in the pool together. Of course, no camera was near by to capture the moment!) New pools were purchased with donations made by our very generous donors! Thank you for helping keep the cats cool for the summer. 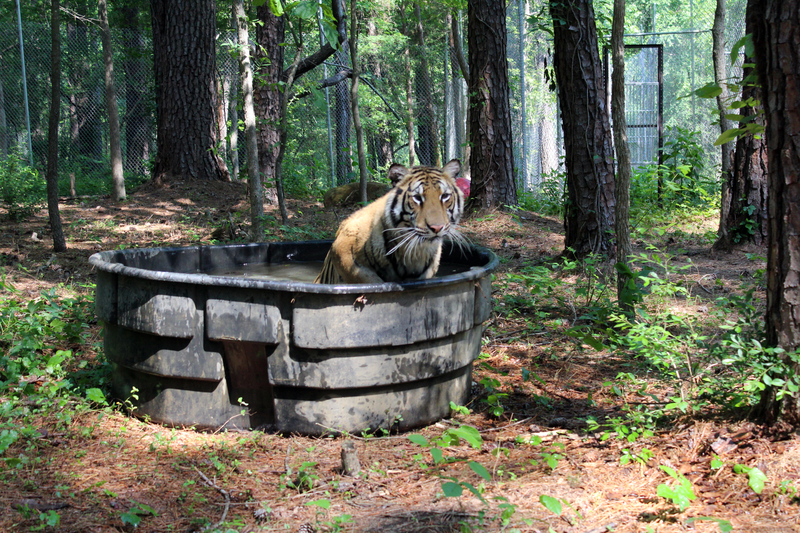 Not to be out done, Riley decided to take a nice soak in her new pool. After cooling off, she felt a little frisky and decided to chase Mila, her enclosuremate! Our volunteer coordinator, Maryssa Hill, managed to catch the fast exit on film. These two are incredibly playful and a lot of fun to visit. Some of our animals aren’t as excited about dipping their toes into a pool. 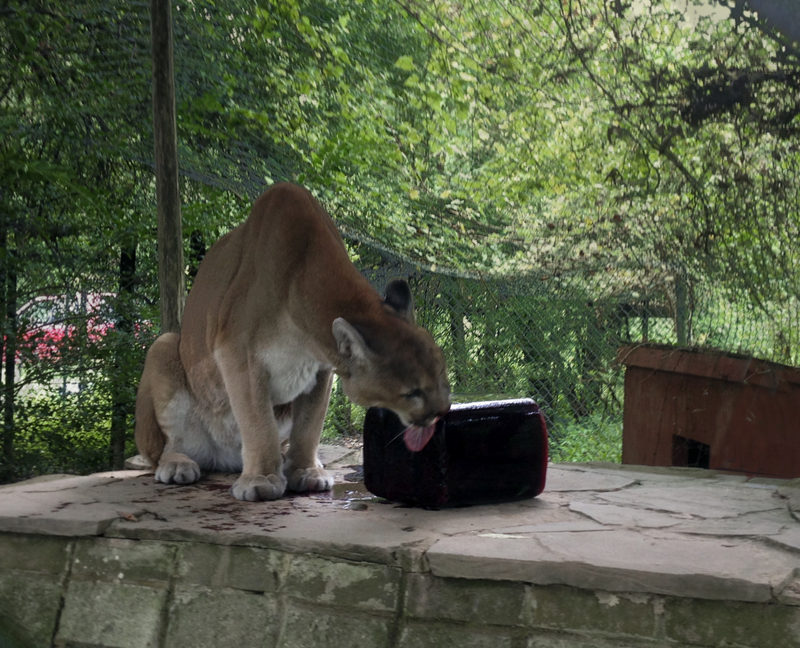 For those animals, we offer up cool treats like blood popsicles and fans. 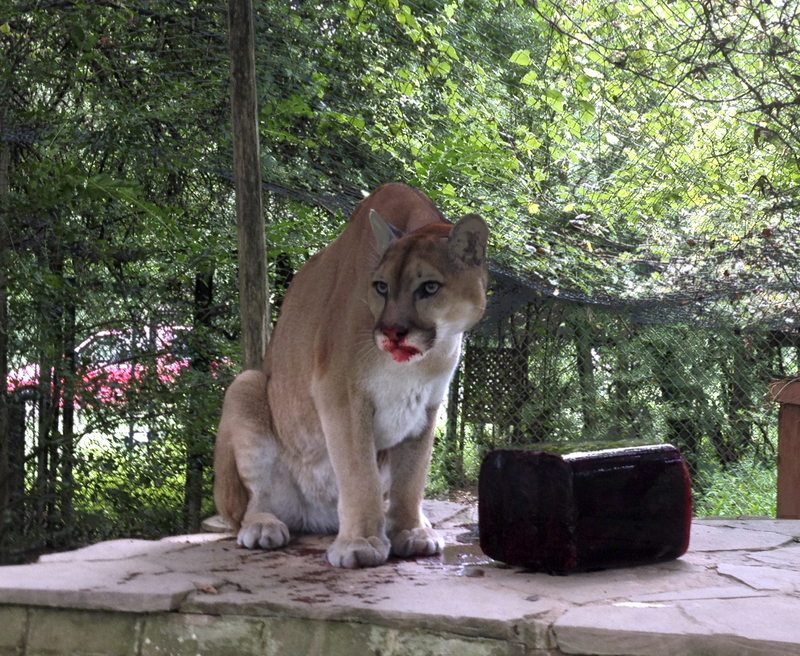 Nakobi particularly enjoyed this frozen treat. No giggling at the poor application of “lipstick”! 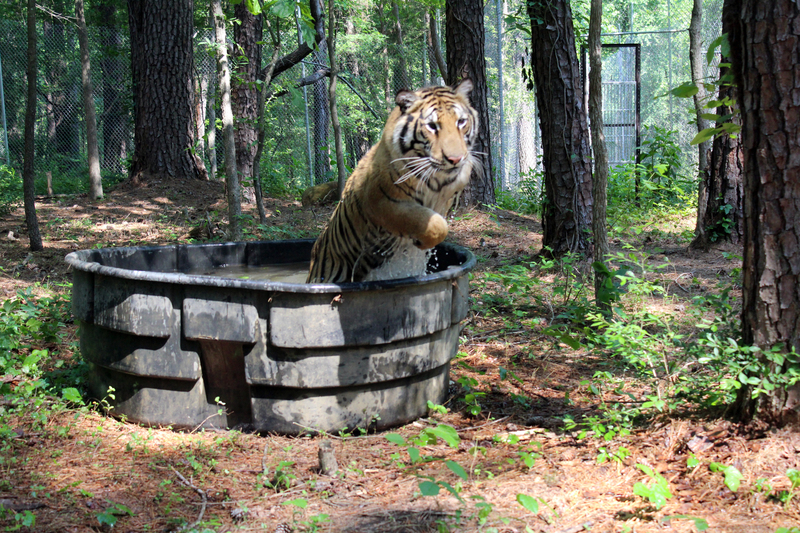 Keep an eye on our Facebook page for more pics and updates on the silly antics of the animals of Carolina Tiger Rescue!